With Sea of Thieves' first anniversary close at hand, we've been brainstorming ways to mark the events of the past year as we approach the big day. One thing we knew we wanted to do was get personal and share what the game has come to mean to us individually here at Rare, and of course ask for the community to share their own wide-ranging tales in return. While we were sharing these, the community got involved on an admirable scale and so began a two-week-long tide of submissions coming in from the other direction. This introduced us to so many fantastic and heartwarming stories that we'd encourage anyone to browse the #SoTAndMe tag on Twitter, some of the comments left on our Facebook #SoTAndMe posts or this great thread in the official Forums. 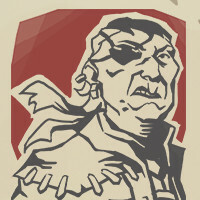 Some of the standout stories came from pirates who've strengthened bonds with friends and family or met significant others out on the seas – folks such as Leanne, Puppychomp and the hopefully inappropriately named Grim Fate. We've also been treated to tales of people voyaging with spouses and partners (like Ashes Nan, Clay Howard, Heather Haze and UrbnDisaster), siblings (like Mangzta), long-distance friends (like ElManouche) and of course their children (like Tinanana and Captain Mad Jack McClafferty). Meanwhile it's the magic of finding new friends in the community that's won over other players, as expressed in #SoTAndMe submissions from the likes of 0wl, Boatswain Nomad, Capt'n aoelord4, Captain Rogers, Eddy, Nick Mayson, RainFirst, Rare Gamer, Sophie Scarth and Thor von Blitz. Props to 0wl for acing that alphabetically ordered list with a cheeky numeral. We also heard from creators who've taken cues from Sea of Thieves for their streams, podcasts and works of art, including but by no means limited to BehavingBeardly, Esoluu, Capt. Logun and Woodox. For many, the appeal lies in Sea of Thieves' wide open world and the pirate fantasy it presents. That particular group takes in players including Blutwurst, DK Vine, Drunken Sailor, EG Gamer, Faith, MageSentron, Sean Amezcua, even pro footballer Reggie Cannon. Others, such as Amanda Muir, Cappy the Pirate Legend, Captain Thick Nick and Kat Truewalker, ascribed the magic to... a little bit of everything. We were also touched by tales from fans who feel SoT has helped them in some way to overcome depression, anxiety or other mental health challenges. Hearty pirate hugs to folks such as Brandon Todd, Gameaholik, M3meSaurusRex, Rohan, RustBeltKid, Tobacco Skunk and Captains Trident and JESSETATTOO for being upfront about these things and making us grateful all over again to be doing what we do. As we've said, these are just some of the #SoTAndMe stories we saw over the past couple of weeks, and there are many more to be found on social channels – genuine thanks to everyone who took the time to share, you can be sure none of them passed by unnoticed. Keep watching our social channels for further celebrations and, of course, the anniversary day announcement of what exactly will be coming next to Sea of Thieves. March 20th – be there!